Hiii!! So you’ve done the Phatt program, lost 10-15kgs, got really excited and joined Ph@tt-Team Northwest as a mentor. Woohoo! Wait, aren’t you a mentor yet? Join my team now! Then, you’ve downloaded the training manual, the compensation plan, added all your friends and family to the appropriate groups, posted up your “before” and “after” photos of your amazing results, joined a bunch of new Facebook interest groups with thousands of members and even set up your Facebook ads. Now you’re tired of wearing out your finger responding to queries on Messenger. 1. Don’t have the know-how. 2. Don’t want to pay someone else to do it. (If you do want to pay someone else to do it send me a message). Ok! Keep reading and I’ll tell you how I did mine for free! I wanted a space outside of Facebook to post information and articles online. I thought a blog would be perfect because I wanted to be a part of an established community where my target audience could find me easily. And because the Phatt program can deliver globally I needed a global online “presence”. Of course the first thing I did was google “How to start a blog”. 2. Free hosting and figure things out for myself. Clearly being clueless I went with option 2. Why pay for add-ons I don’t understand? Until I could speak this new “blog speak” language I had my hands (eyes?) full just learning the basics. That’s when I came across WordPress.com. Yes. My blog, Phatt landing page and associated pages are hosted by WordPress, obviously. I like it because its intuitive, free and I can create and publish content off my phone. Here’s a step-by-step walk through of the set up. Go to wordpress.com and choose a plan for your blog. I went with “free” as I said because I’m still learning and I don’t have enough knowledge to understand the extra add-ons for the paid options. If I don’t understand how these work chances are I’ll never use them. There is more than enough to get my head around with just the basics and I have the option of upgrading once I realise a plan has something I need or my growth demands something beyond the free plan. A note of caution about this though. WordPress hosts my stuff not me. There are pros and cons to this. WordPress has templates for blogs. These are automatically set up when you choose your theme. Simply select a theme you like that reflects and aligns with your brand and the image you wish to present online. Light backgrounds with dark print are easier to read. Go for simple lines and make sure you include a sidebar with widgets. Widgets on your sidebar can show your landing page link, contact forms and most popular blogs all on your home page. The theme I use is Libre 2. The theme you choose will create your first blog for you. This example will give you something to compare with when you start your own. I chose to start a blog to drive and attract traffic to my landing page. Actually I didn’t plan it that way at all but it made sense once I saw the potential. Blogs can be about whatever grabs your interest. Don’t forget to add your “categories” and “tags” from undet your post settings before you publish. Its easy to add images and other media to your blog. Tap the + sign on the tool bar, select the source of tour me dia or image then select image. It will automatically upload. My theme automatically sets the first image in the blog as the icon image. The toolbar has 8 icons for editing. The links icon is after the I (for Italics). It is useful to embed links to a contact form in your posts and landing page in order to increase the opportunities to capture email addresses. Once you have their permission it will then be that much easier to set up accounts. You can also link the main phatt website to your landing page as well. For example: You can read more testimonies on our main website. ⬅ ↩ Click here ⬆⬆⬆. It’s easy to link external content, just insert the url and add the text to appear in your blog/page. This is an interactive post under construction. Please comment with your query and I will add to this page. 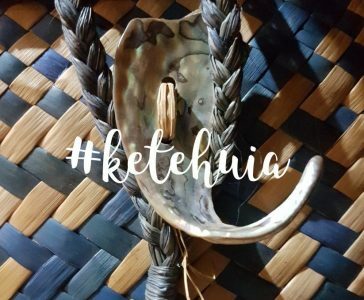 Previous Post Ketehuia – talking about baskets … Wait, what’s with the birds?? ?